Like most perfume glass bottles and essential oil glass bottles, red wine glasses can also be packaged in paper tubes, but with larger diameters and heights. 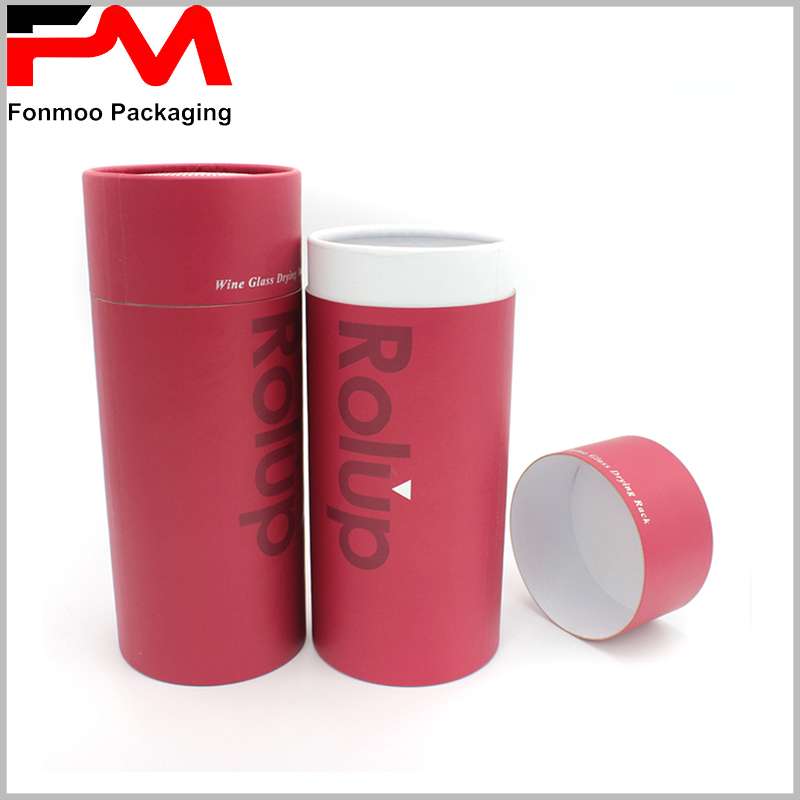 We can usually use round wine boxes as gift boxes, making the products and packaging look high-end. 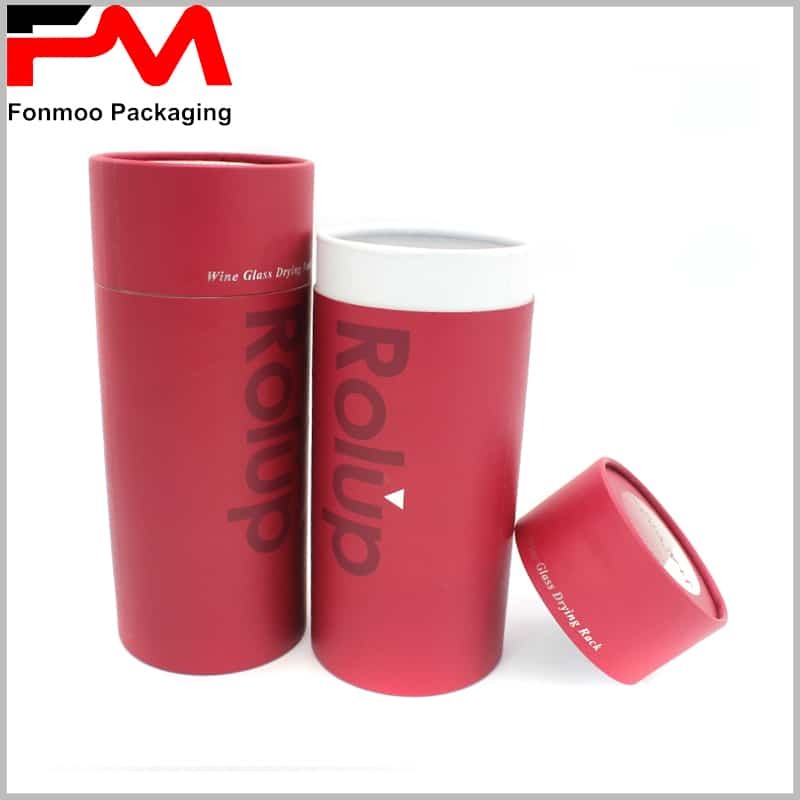 However, the cylinder boxes for wine glasses have certain limitations. A package can only hold one of red wine glass or a tall glass, and can not accommodate more. 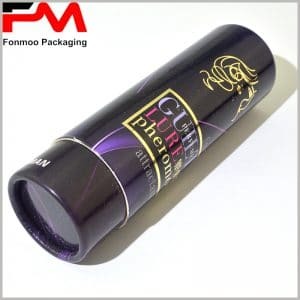 In order to enhance the brand’s competitiveness, it is usually necessary to print logos on the surface of cardboard tube packaging, bronzing printing process, UV printing process or emboss printing process. The choice of different printing processes can reflect the different product characteristics. I believe that you, like me, are very concerned about the choice of packaging materials and printing processes, not only reflect the packaging characteristics of the products, but also have an important impact on the price of the packaging. You can choose a 250-450g single-powder card as the main raw material, rolled into a specified diameter and height by Coiler machine. 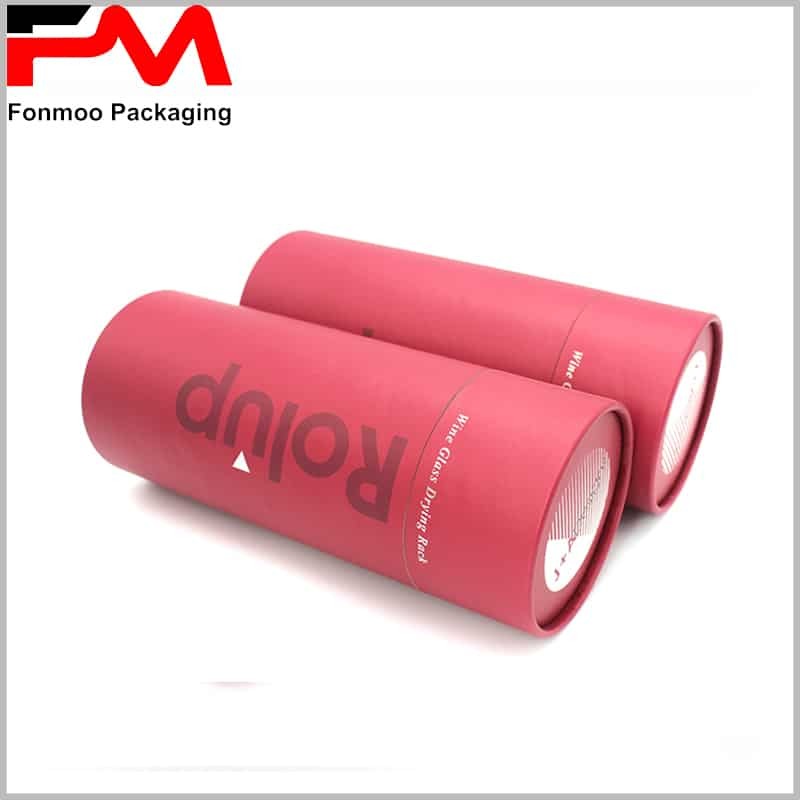 Adhesive paper can use 128g-230g double copper paper to improve the visual experience of packaging through four-color printing or special printing process. 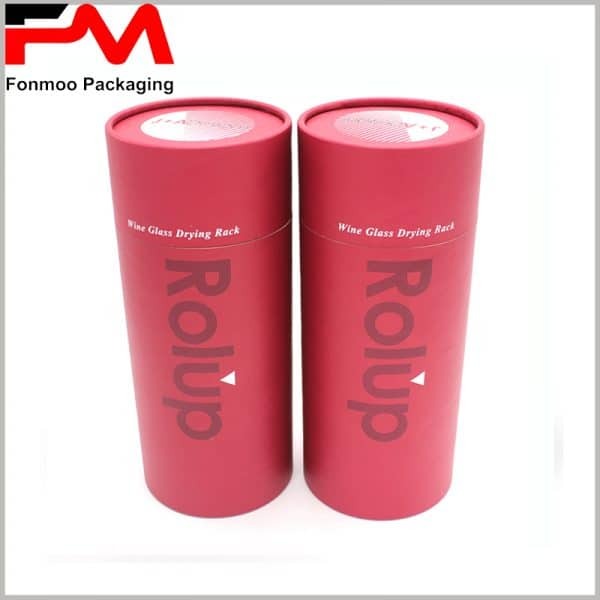 In addition to the large cardboard tubes packaging boxes for glasses shown in the case, we are able to offer you more types of round boxes.